Make sure your hooks and leaders are strong enough for the fish of your life. The brown trout and arctic char are feeding on snails, nymphs and hatched flies. 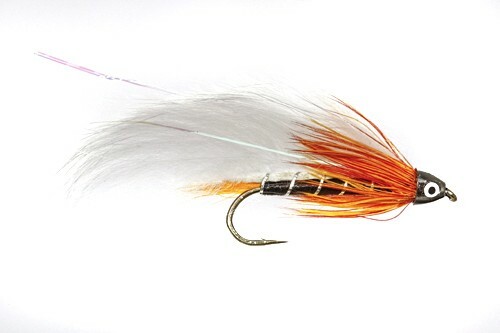 So popular flies are all kind of nymphs, for example: pheasant tail, peacock and all kinds off bead heads. Dry flies are also very effective. As the brown trout gets bigger they start feeding on fish as well and they are known to eat fish up to 30 cm (12 inches). So all kinds of streamers big and small such as Black Ghost can be very effective. Sunburst Black Ghost, one of the best for the big ones.